militaria job lot ww2 and post ww2 37 pattern webbing British army, Para Belt. Fantastic WW2 British 1940 dated Jeep scarf in near mint unissued condition! 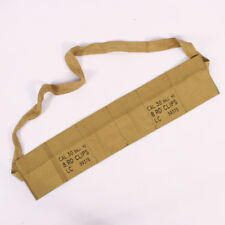 Genuine Second World War Medics Bag And Strap. Arnhem. D-day. Beautifully made German Army Compass from WWII. The compass works well and is finely balanced and fitted in a machine turned case of Brass or Bronze. New listingWW2 British Army Canvas Bucket - 1943. WW2 British Army Canvas Bucket - 1943. No holes, rips or tears and rope handles very good. Fully marked and dated 1943. Some marks but mainly to inside base. 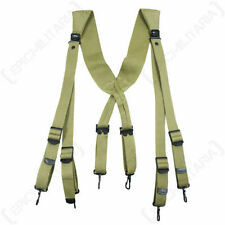 Would look great hanging from the tow hook of a Jeep or truck or just to carry stuff in, maybe even water. So just right for D-day commemorations. Thanks for looking. As a collector and re-enactor I decided to make up a few detonator tins to go with my display to complete my grenade boxes. WWI WWIINo.5, No.23 and 36M MILLS GRENADE DETONATOR TIN. 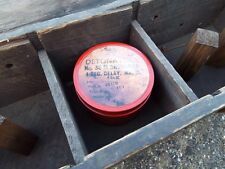 The WWII 36M tins have added information printed on the side as shown in pictures. New listingWW2 German Army Belt. By H. Arld 1941. Leather tab with maker and date - Heinrich Arld, 1941. WW2 German army belt. 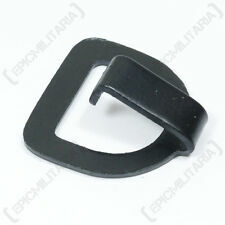 Steel buckle. Condition is Used. Cut down for a letter opener. 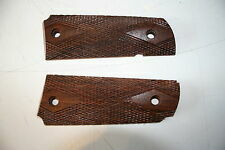 RARE WW2 BRITISH LEATHER TAB TO ATTACH THE No 4 SPIKE BAYNET TO THE P1937 WEB FROG. A 12 cms STRIP OF BROWN LEATHER WITH A BRASS KEYHOLE PLATE SEWN AT ONE END. This was used to hold the No4 spike baynet into the webbing frog which was designed for the SMLE bayonet. Original WW2 US Army M1936 Musette Field Bag with Shoulder Strap. In Excellent Used Condition. Dispatched with Royal Mail 2nd Class. Original Genuine WW2 US Army M1928 Haversack Pack Dated 1943 Complete with all straps in Excellent used Condition. Please see photos. It is marked ME Co 1943. Marked with US on the front. This item is British made for the US army. No rips or tears. International bidders welcome but please ask me what the postage cost is before placing your bid, thank you. If you have any questions please ask. Dispatched with Royal Mail 2nd Class. Thank you for looking & happy bidding. Vintage USA US Army Wittnauer pocket compass war issue WW2 metal cased . Condition is Used. Dispatched with Royal Mail 1st Class Large Letter. Original WW2 1944 Dated US Army E.A Co Mess Tin with Bag in Excellent Condition. Condition is Used. Dispatched with Royal Mail 2nd Class. They are ideal for re-enactors, jeep owners, or anyone who just wants a great army quality scarf. These are not the modern reproductions made in india and china. 1940 - Nearly all gone. 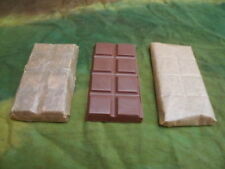 They all vary slightly in colour but are all around a green brown colour. Cover for shoulder Wehrmacht. Condition is Used. Dispatched with Royal Mail 2nd Class. New listingOriginal British Army Webley Revolver Pistol Grips - WW2 WW1 ? , sorry not sure what model they are from . Condition is Used. This was from British Expeditionary Soldier. Interesting piece with history attached. New listingWW2 U.S Canteen set Original and complete in Fantastic shape... Army, Airborne..
For sale, a WW2 U.S Canteen in Original and complete in Fantastic,clean condition. Original WW2 US Army M1928 Canvas Haversack Pack Tail Carrier complete with Rare Leather Lacing. Condition is very good Used. Dispatched with Royal Mail 2nd Class. Original WW2 US army M1910 canteen. The set is in used but very good condition. 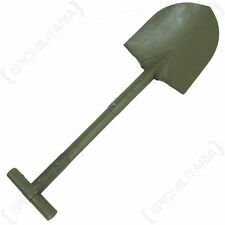 Vintage Army trench spade 1942. Condition is Used. Dispatched with Royal Mail 1st Class. Original US WW2 lensatic compass pouch made of rubberised dark green canvas with khaki trim. Very good condition with all studs present and working. A Japanese Army Officer's Leather Map Bag with Japan Star design. This is a used item with a broken strap. An original British officer's Roorkhee camp chair in a good condition. The Roorkhee chair was a simple design which could be quickly broken down and stowed in a kitbag. It was designed to be light, easily transportable and could be used on uneven ground. WW2 German Army Original K98 Ammo pouch. Condition is Used. In used lightly blancoed condition. 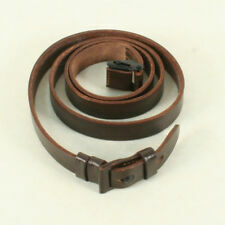 The belt is in used but good condition with all studs, buttons and buckles in place and in working order. The 'US' stamp faded but still visible. No date of manufacture can be seen. Belt is 21" and each pouch set is 14". Reproduction WW2 US army M17 binoculars case and strap, made of brown leather/leatherette. This case has never been used and is in excellent, like new condition. WW2 British army gas mask in bag. Mask is dated 1941, bag is dated 1942. Original WW2 US army-issue M1943 folding entrenching tool and tan cover with green trim. In used but good condition and in full working order. No date of manufacture is visible. British army service respirator & MKVII haversack all supple & unissued excellent condition. Dates 1941 - 42. WW2 British Army 37 Pattern Webbing - Complete Set - Wartime Dated. WW2 British Army 37 Pattern Webbing - Complete Set - Wartime Dated.. Set includes: Belt 2 x Mk2 pouches, both dated 1941 2 x cross straps dated 1943 Bayonet frog In good unblancoed condition. Dispatched with Royal Mail 2nd Class. WW2 British Officers Compass Pouch - Dated 1940. Good condition. Original blanco which has faded. Condition is Used. Dispatched with Royal Mail 1st Class.